Treat your piercings to gorgeous sparkle with this silver push fit butterfly. This pretty silver butterfly fits onto any push fit Bioplast jewellery including multi use body piercing tubes and Bioplast nose studs. Very cute little butterfly. Unlike the thumbnail picture, it has a 3D effect just like the description says. 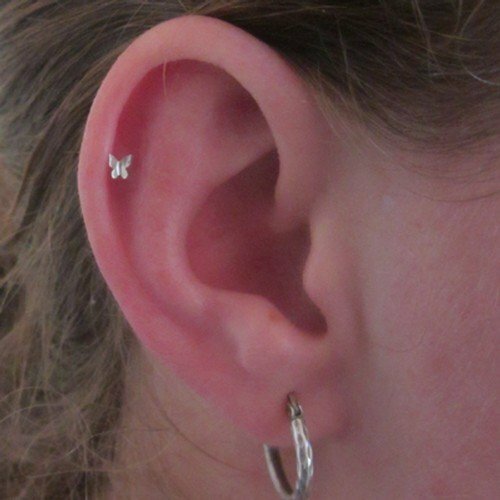 The wings fit nicely in the fold of your ear if you wear it in a helix piercing.